I upgraded my iPhone 3GS to iOS4 on Monday, and have been been offline all week. It may be my own fault for not restoring on 3.1.3 before updating to 4.0, since I jailbroke my phone. All seemed to be fine, until I left home. It turned out that my data link was broken, so while it worked fine at home on my wi-fi, it did not work on 3G or 2G/Edge. Restoring did not help. I got an appointment on Wednesday at the Apple Store Genius Bar, where they reset it to its factory state. But when I restored again, I had the same problem. So I have been manually reloading all my apps, settings, etc. It's just as well, since it will soon be my wife's phone. As soon as I get the new iPhone 4, I will likely have to reload everything all over again. One nice thing about the new iOS is folders. 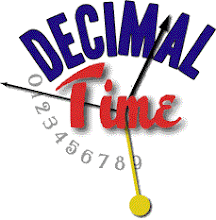 I can now put all the decimal time apps in one place. This works even better than the jailbreak Categories. Other things I can do are wallpapers, multitasking, pull-up rotation-lock and iPod controls, editable playlists, improved email, spellcheck, etc. That's most of what I liked from jailbreaking, although multitasking is not as good as Backgrounder, and I cannot use my mono Bluetooth with iPod to listen to podcasts, so I will eventually jailbreak again just for that.